Heat a pan. Add Oil. Saute the Onion and Garlic till lightly brown. Add Beetroot, Tomato and enough Water. 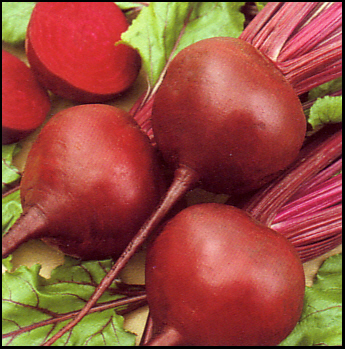 Bring to a boil & cook till the Beets are soft. Remove from heat & allow to cool. Grind the cooled mixture to a fine paste with little water & Milk. Strain & again re-heat it. Adjust Salt & Pepper. If the consistency is thin, add Corn flour mixed in water to it before adding Salt & Pepper. Remove to a serving bowl. Top it with fresh cream & Cilantro. Serve hot. We can even add tadka of ghee and jeera to it..it makes it more delicious..
this is a great soup .good for anemic.